We are proud to be a local, family owned business bringing over a combined 15 years of experience, that takes the needs of our customers seriously, ensuring that all your pest control needs are met for your home or business. We only use the "best in class" service and products at an affordable rate. Dedication to satisfying our customer is our number one goal. As a company we will never give you what you do not need, we listen to our customers and strive to exceed their expectations on time. 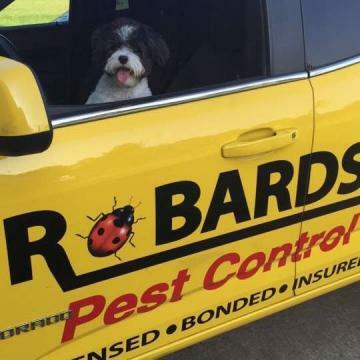 Robards Pest Control is made up of our talented employees using the latest technology, creativity and teamwork to get the job done right. We hold our employees accountable for high levels of standards in all aspects of our work. Here at Robards Pest Control we will always treat our customers and company with the respect they deserve.